We’re here for you! 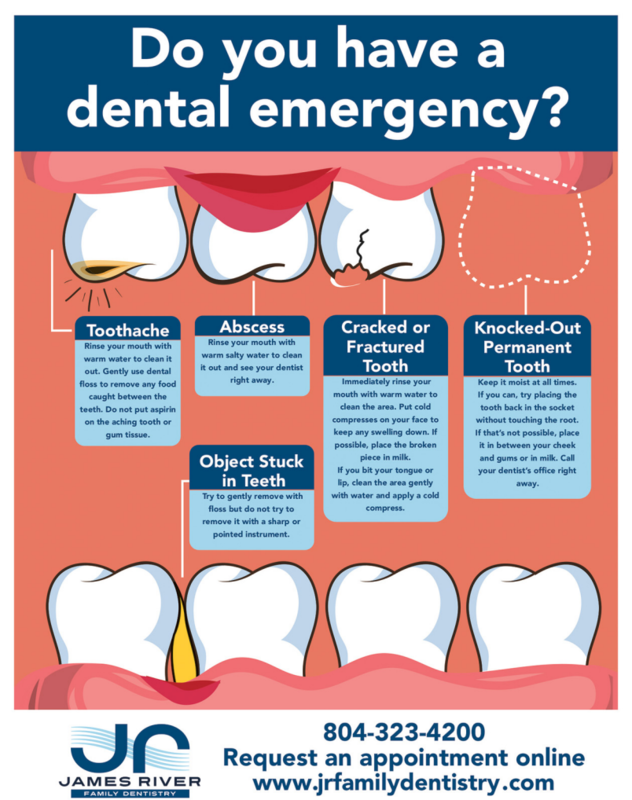 If you have a dental emergency, call or text us immediately at 804-323-4200. We make it our priority to be here for you, rain or shine! The most important step to being well prepared for a dental emergency is establishing a dental home. This means finding a dental practice that is right for you and sticking with it. When the worst happens unexpectedly, it can be a great help to have a dentist and practice you trust by your side. If this happens to your child, contact us as soon as possible. The tooth will most likely not be replanted because of potential damage to the developing permanent tooth. Contact us immediately as prompt treatment is required. Rinse out your mouth with water and find any broken tooth fragments. Place the fragments in cold milk or water and bring it with you to our office.